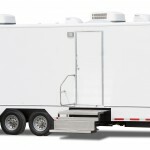 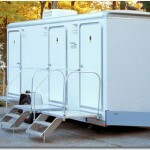 The Cottage Series of mobile restroom units from JAG Mobile Solutions is the latest line of interior styling and is available in all existing floorplans. 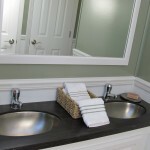 The Cottage Series give us the opportunity to provide our customers with a fresh style not found anywhere else. 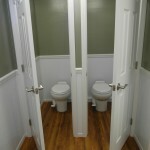 The Cottage Series features distinctive wainscoting, crown molding, graffiti resistant walls, wood grain flooring, and individual stalls with 6-panel doors.